The Association of Cleveland Fire Fighters Local 93 have sounded an alarm of its own, in the form of a 100-page fire station conditions report it said points to serious safety concerns. 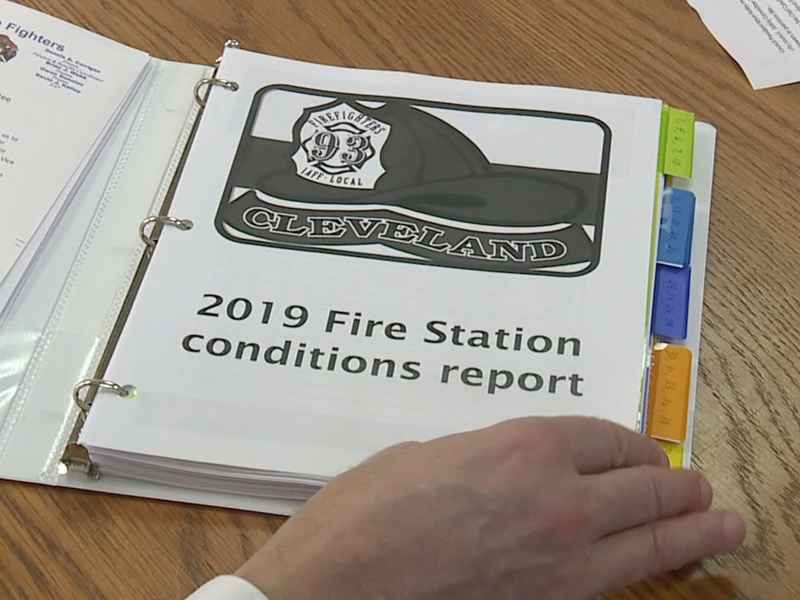 CLEVELAND — The Association of Cleveland Fire Fighters Local 93 have sounded an alarm of its own, in the form of a 100-page fire station conditions report it said points to serious safety concerns. Local 93 President Fran Lally showed News 5 fire equipment data he said indicates nearly 50% of all fire vehicles are rated in either poor or fair condition. Lally said two pumpers need to be replaced as soon as possible. Lally also pointed to what he called low supervisory and investigator staffing levels, which he said creates a potential public safety risk. "You have a confluence of issues, where somebody is going to get seriously injured or killed, we believe," Lally said. "Currently we have a 10 to 12 year inspection rotation, which is just ludicrous." "It's issue, after issue, after issue. It's the fire investigative unit, the fire prevention bureau, the suppression staffing, the fleets, the fire houses." Lally said the City of Cleveland is too far behind on maintaining its aging fire stations, showing News 5 pictures of what he called chronic sewage back-ups, flooding, and roof and plumbing problems. But Cleveland Fire Chief Angelo Calvillo defended his department and told News 5 he doesn't believe there are any safety concerns. Calvillo told News 5 he is sending updated reports to the Cleveland Safety Director Michael McGrath every two weeks, that staffing levels are current and that major facility repairs are already on the way. "As far as supervisors and the staffing of Cleveland Division of Fire, we're right on point," Cavillo said. "The fire stations, they are slated for some major repairs, as far as the roof goes, and once again, I provide all that information to public safety." Cleveland Safety Director Michael McGrath assured News 5 that the Cleveland Division of Fire is on the right track and he will continue to go over the facilities report with the fire union. "I do, I will, I meet with Local 93 once a month," McGrath said. 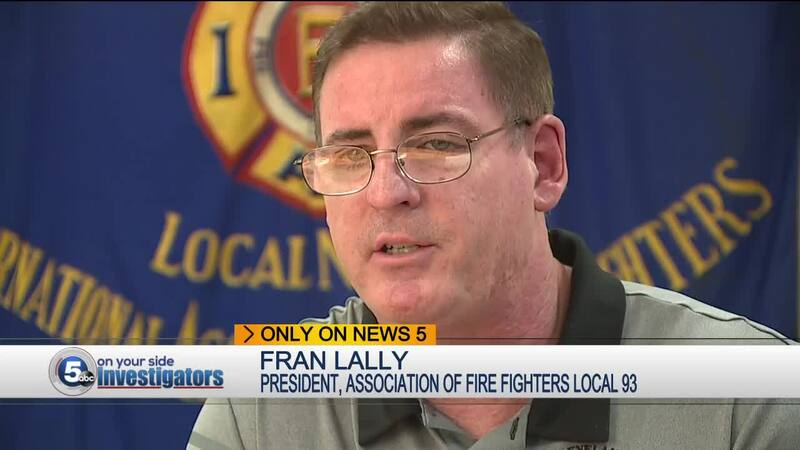 Still Lally and other fire union leaders are hoping the Cleveland City Council Safety Committee will give all their safety concerns a through review in the coming weeks. "We're not asking for the Taj Mahal, but we would like to have roofs that don't leak, hot water, air conditioning and heat that work, and sewers that don't back-up," Lally said.